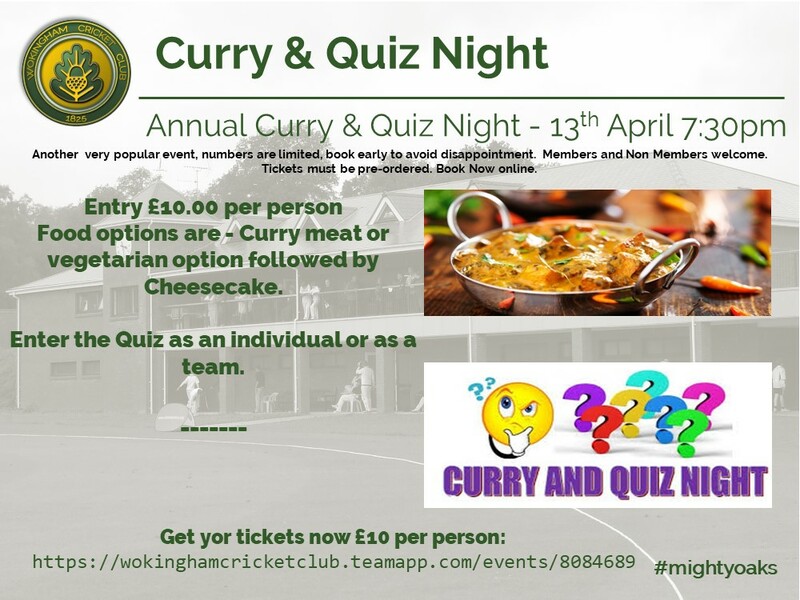 Our Ever popular Curry & Quiz Night ios back ! Date for your diary is Saturday 13th April 2019. So come to the clubhouse on Sat 13th April for our ever popular social night. For the quiz, enter as an individual or as a team. For the food options will be, Chicken Tikka Curry OR Vegetarian Curry with pilau rice followed by Cheesecake.